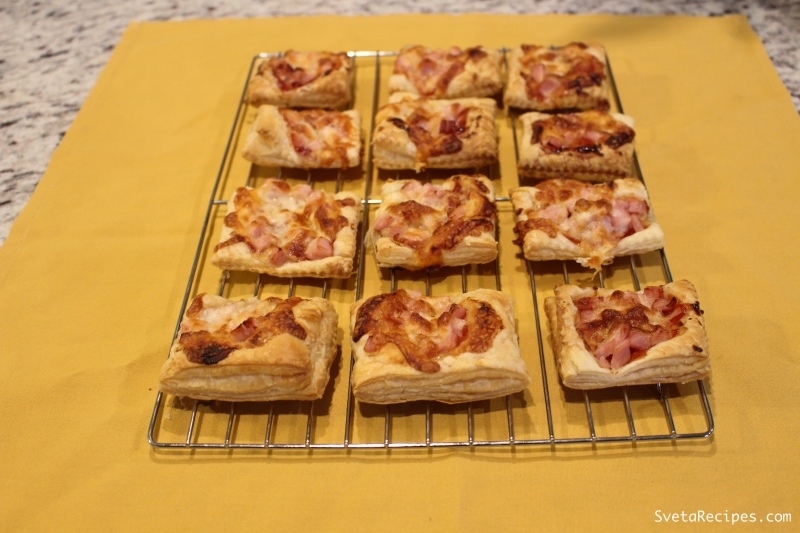 This recipe taste very good and looks just like a mini pizza. 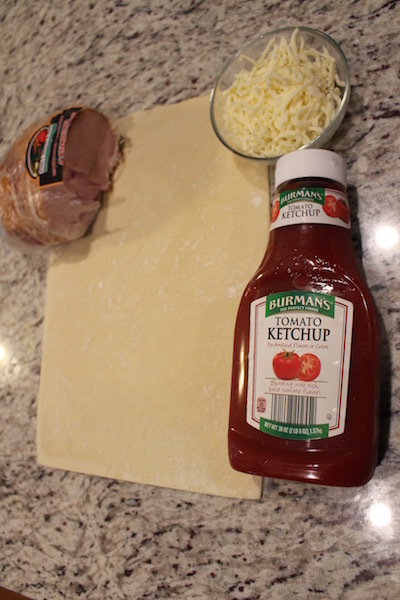 My kids loved it and the ketchup gives it a very unique and original taste! 1.) 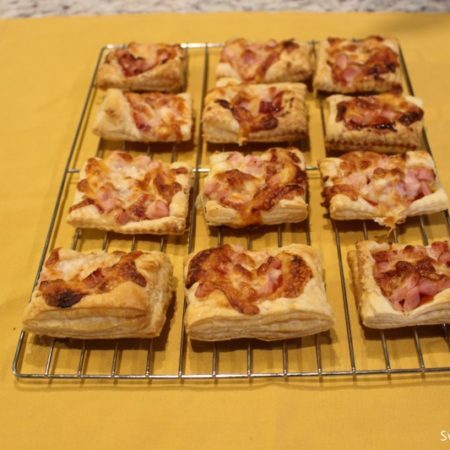 Cut your puff pastry dough into squares and add some ketchup on top. Spread out your ketchup using a spoon and add bacon. 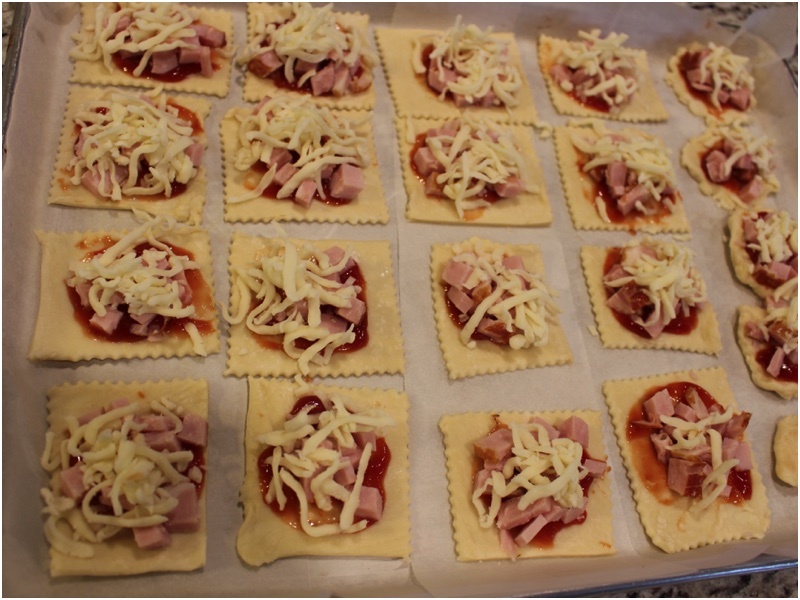 2) After add your mozzarella cheese, bake for 20 minutes on 400ºF or until golden. Place on a serving dish and enjoy! 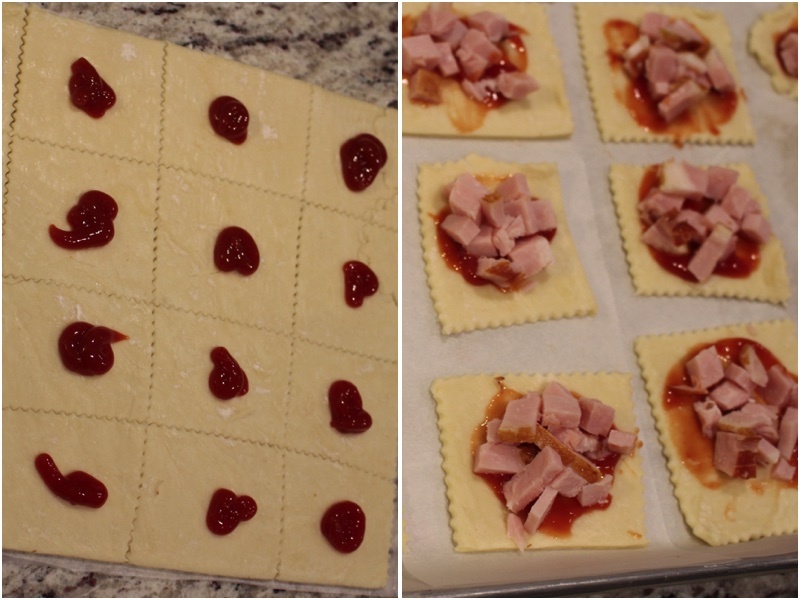 Cut your puff pastry dough into squares and add some ketchup on top. Spread out your ketchup using a spoon and add bacon. After add your mozzarella cheese, bake for 20 minutes on 400ºF or until golden. Place on a serving dish and enjoy!